This plant, while incredibly fitting in this image, is actually an invasive species that has taken over a lot of the landscape in Ireland. You can find it all over the place with its shiny yellow colours. 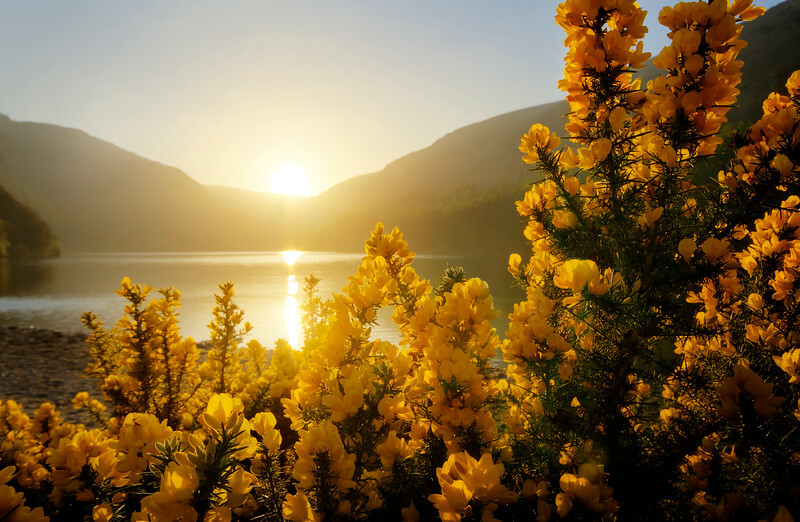 Well, in this case, it is indeed awesome as it frames the sunrise at the Irish Glendalough just perfectly.